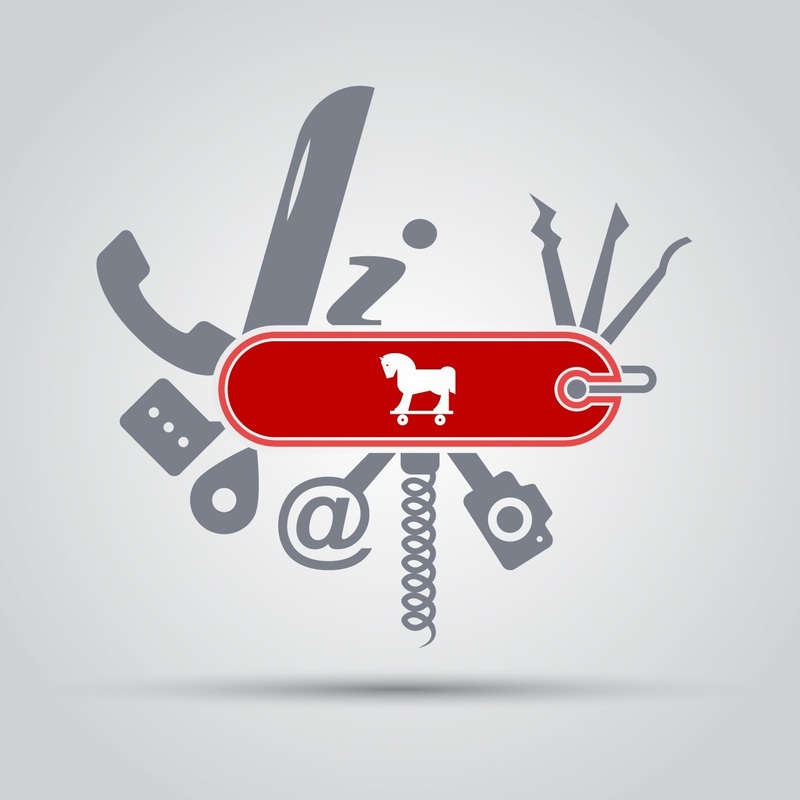 Kaspersky Lab discovered Asacub, a banking trojan which started actively attacking Android users in January. Our experts managed to track its evolution step-by-step. At first, researchers suggested the banking trojan was targeting Russia and Ukraine exclusively, due to the fact that the phishing resembled the login screens of some Russian and Ukrainian banks. However, further investigation allowed Kaspersky Lab researchers to identify an additional version intended for US users as another phishing screen boasted the logo of a major American bank. Besides fake login screens, the malware does not resort to other means of siphoning credit card data; so it seems that Asacub’s creators targeted only select banks. 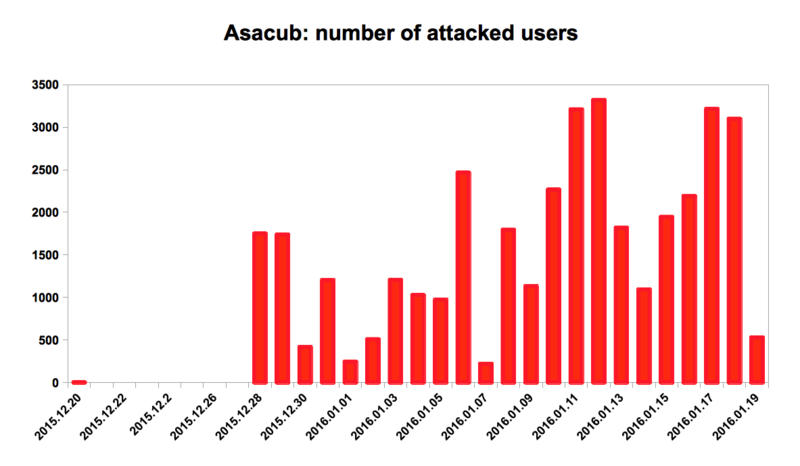 Nevertheless, Asacub is a lot more than a simple phishing scam, despite the fact that it used to be an even simpler piece of malware in its early days — its evolution started from the lowest ranks of the malware hierarchy. The first iteration of the malware, whose family is detected by Kaspersky Lab’s products as ‘Trojan-Banker.AndroidOS.Asacub’, was discovered by our research team in June 2015. Back then it was a typical sample of a phishing program, remotely managed from a command and control server. Installed on the affected device, the first version of Asacub was able to send certain information, including the list of apps, browser history and the contact list, to a remote C&C server. The early Asacub could also send SMS messages to a particular phone number and turn off the screen on demand — that was it. A new version of Asacub was spotted in July and it had a more advanced toolset. In addition to existing capabilities, it was able to manage the cycles of C&C communication, intercept or delete text messages and upload the SMS history to a remote server. There is only one functional way to protect oneself from this threat: a robust antivirus. 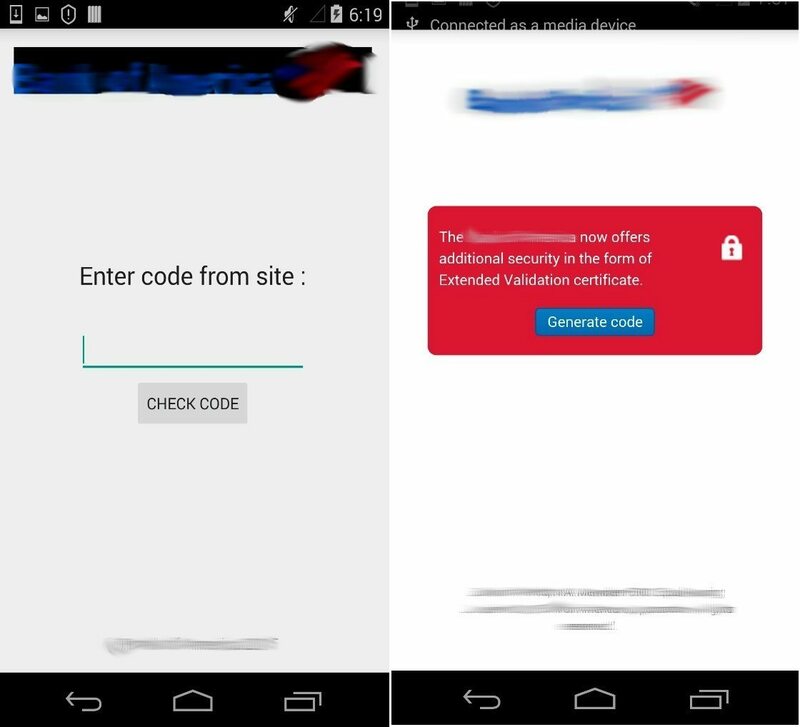 Kaspersky Internet Security for Android is capable of detecting and blocking all existing versions of Asacub. A premium version can do it on the fly. If you use a free version of the antivirus, do not forget to run regular manual scans to prevent infection.